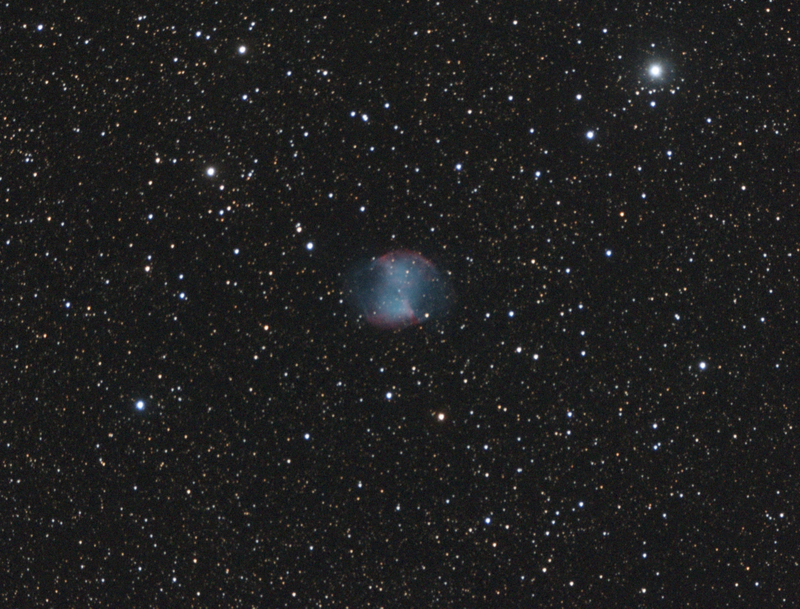 An image of M27 taken with the Atik 320e OSC and my new Altair Starwave 70mm EDT-R telescope. 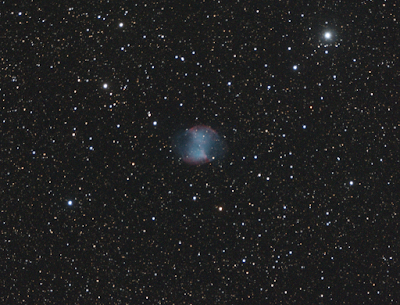 Just 4x5min subs, the last of which had very little nebula left as it was clouding over. 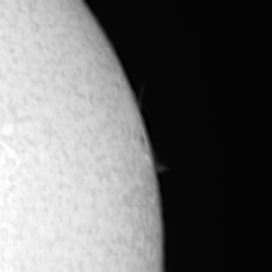 First light with this scope. 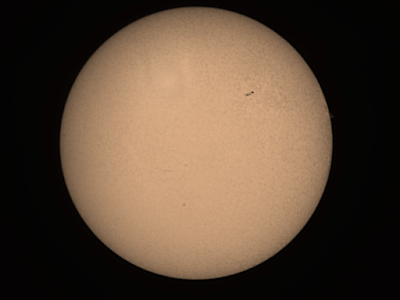 Imaged and stacked in Maxim dl, further processed in Pixinsight, though rather limited in stretching etc due to lack of exposure time. This solar image was taken using my new Altair Hypercam178M and the Lunt 50 H-alpha solar scope. It is slightly out of focus as I couldn't focus any further inward even though I had a screwfit adapter. 2 video files captured as Ser. Best 60% stacked in Autostakkert for each and then layered together in Photoshop CC. Unsharp masked to finish. 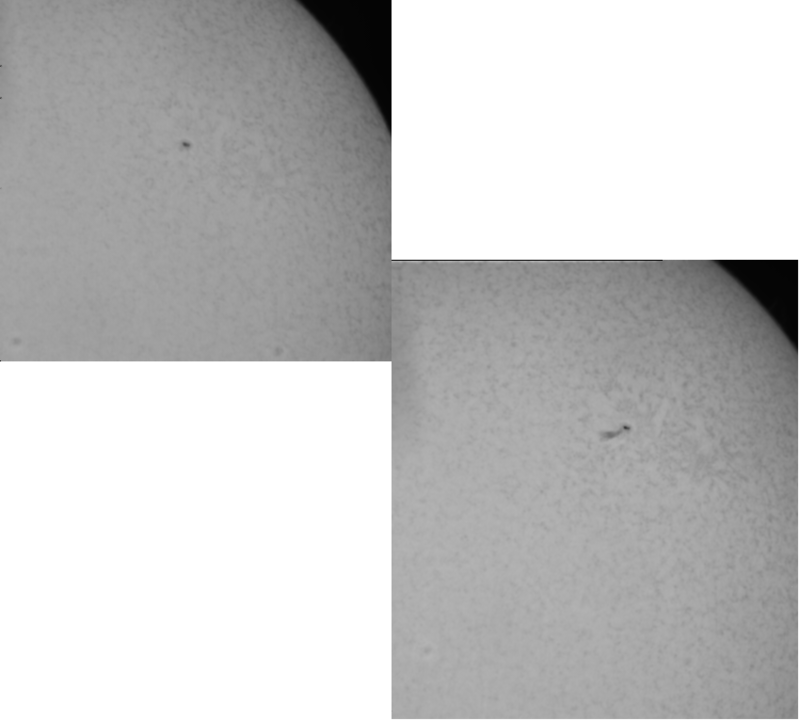 Here are some more images from a couple of days later. 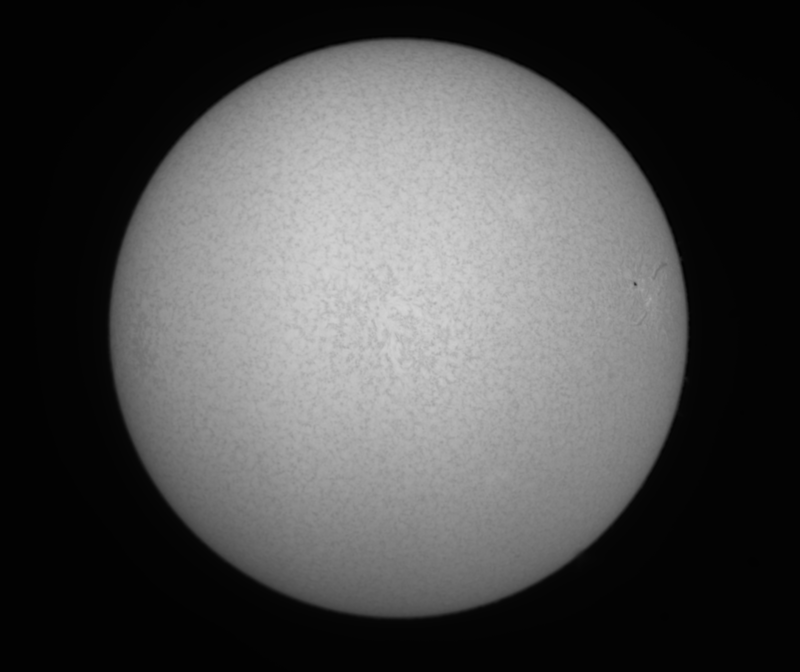 This time taken with the GPCAM and Lunt H-alpha scope. The close up ones were done using ROI in Altaircapture which speeds up the frame rate considerably. 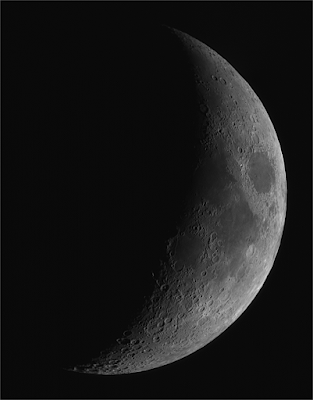 The 29% waxing, crescent Moon,imaged with AstroDMx Capture for Linux, an f/5.5 ED refractor mounted on an iOptron Cube Pro, AZ GOTO mount and a QHY 5L-II-M camera. Nicola has almost completed the implementation of the camera. 2 overlapping 1000 frame SER files were captured. For each file, the best 400 frames were stacked in Autostakkert! running in Wine on a Linux Mint laptop. 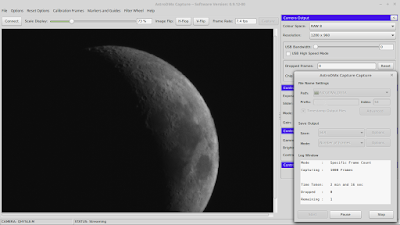 The two resulting images were stitched in Microsoft ICE running in Wine and the resulting image of the Moon was wavelet processed in Registax 5.1 running in Wine. 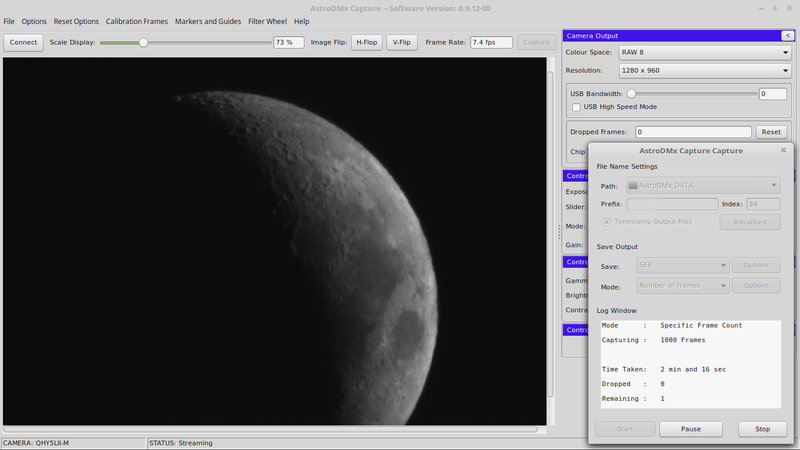 The final image was post processed in the Gimp 2.9.